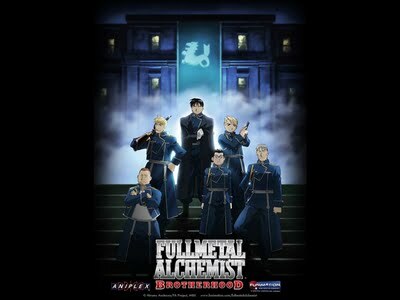 You all probably heard this already but for those who haven't, tonight at midnight (both on the east coast and on the west coast at midnight), Adult Swim will be starting their run of Fullmetal Alchemist: Brotherhood. This is the first of 3 anime series to finally get the spot here on the US shores. For the sake of the anime industry here in the states, I implore you to watch this tonight. If the ratings are good enough for the execs at CN, we can hopefully see Adult Swim go back to what put them back on the map and hopefully have them dump those home-brewed 2 cent crap shows they been putting in anime's place.